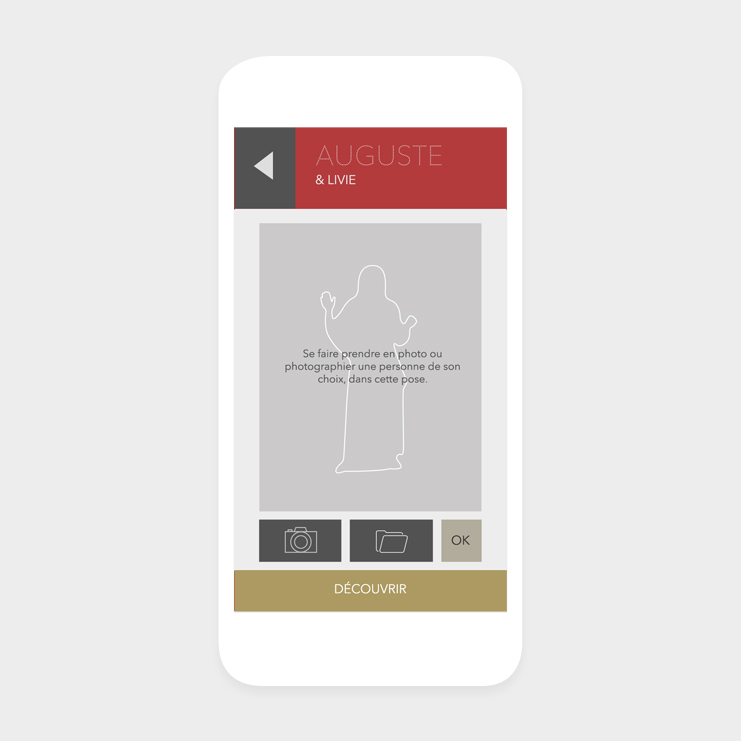 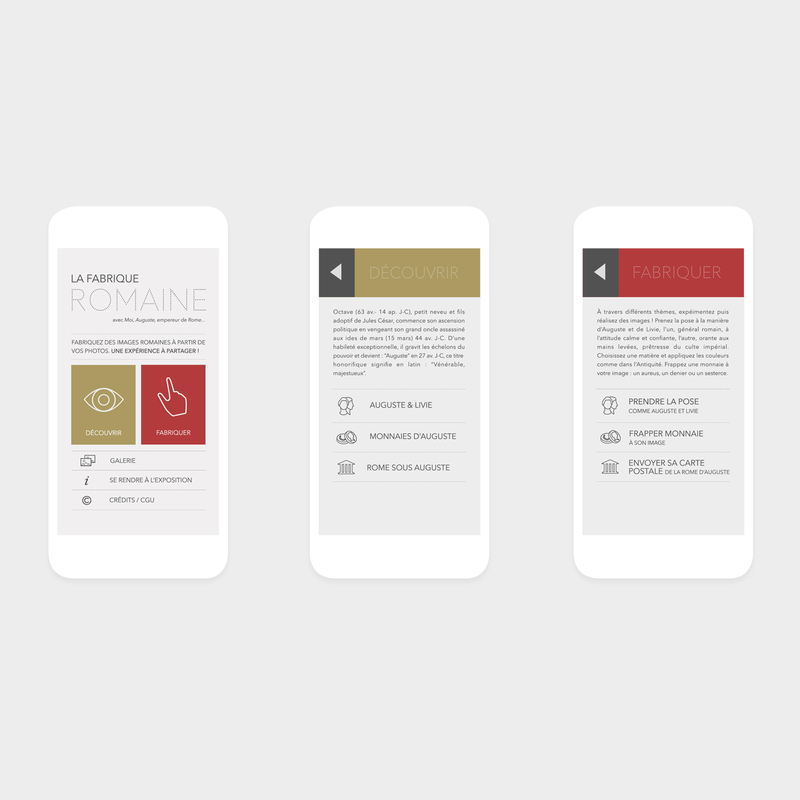 While working for Artefacto, we developed an application called «The Roman Factory» for the Auguste exhibition at the Grand Palais in Paris. 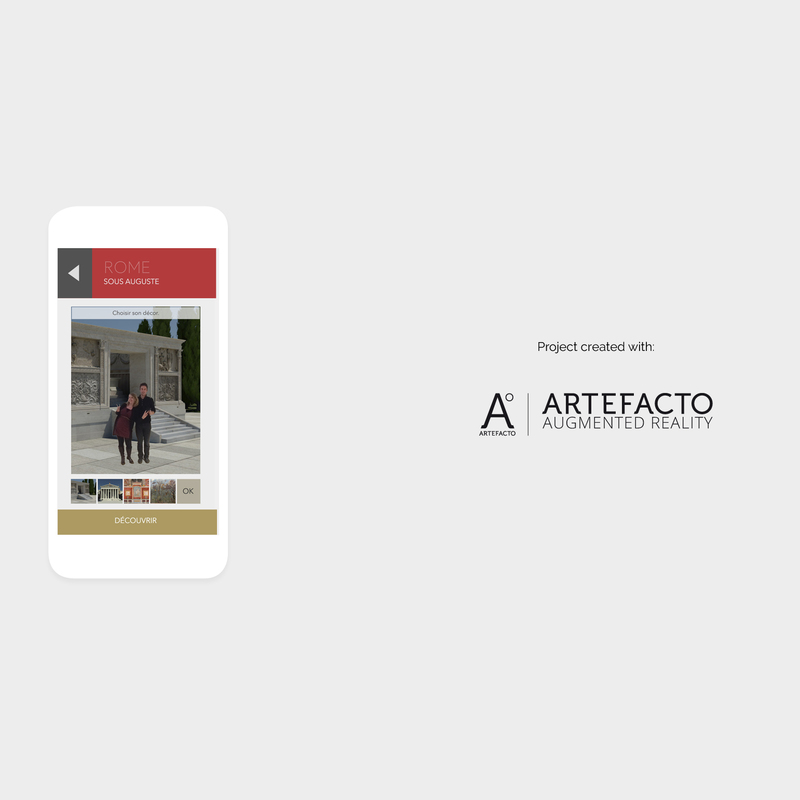 His aim is to allow the spectator to discover and play with the culture of ancient Rome. 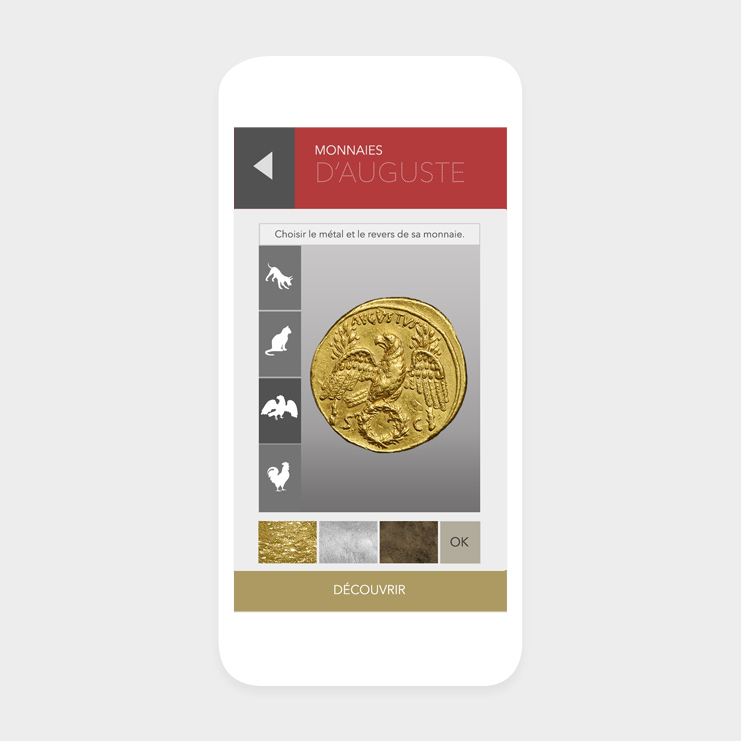 Thus you can take a picture as Livie, send a post card with an ancient style or even build your own roman coin!